What does this mean for destination marketing organizations? Essentially, you need to review all of your communication channels by July 1, 2017. When doing so, you should ensure you are receiving express consent to send information to people, especially those in Canada. These channels include your email newsletters and website forms. Please note the information in this article is not legal advice, as nobody at Simpleview who was involved with the writing or editing of this post is a lawyer. We recommend getting counsel if you need legal advice on how to interpret the legislation. This is information for awareness purposes and to inspire you to review your current practices. Because legal information is not the same as legal advice – the application of law to one’s specific circumstances – this information cannot be relied upon as legal advice or as a recommendation of any particular legal understanding. Additionally, the information shared is accurate as of the time this article was published and could be outdated if Canada’s law should ever change. With that said, let’s dive deeper into the key points of CASL. I’m not Canadian. Does CASL affect me? CASL definitely affects a lot of businesses and organizations outside of Canada, as the legislation is tied to marketing to Canadians. If you have ever sent or plan to send communications to Canadian citizens, you will have to make sure those communications comply with Canada’s rules. If you don’t, then you are subject to legal action from the country. It is rare to find a tourism office that doesn’t actively reach out to Canadians. Therefore, it is fair to assume CASL impacts the majority of destination marketing organizations. Express consent is when somebody voluntarily and clearly agrees to a proposal from somebody else. This type of consent can be given in writing or through speech, but it is up to the organization that is sending the communication to keep a record of how they got it. A good record will include the source and time of the opt-in. When asking for consent, you have to make sure to state a clear purpose for it. As an example, you may have a field in a form where people can opt-in for your email newsletters. 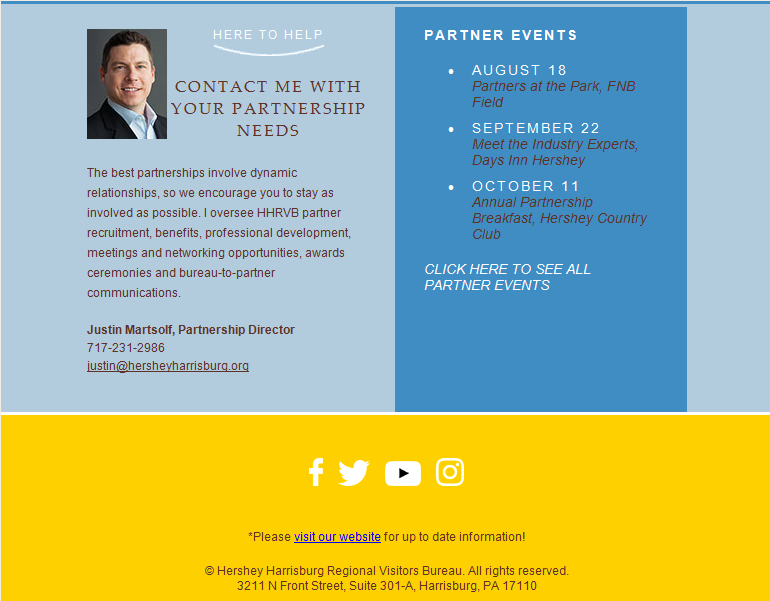 The language on that form should be clear that they are agreeing to receive those newsletters and not some other form of communication, e.g., "Please send me e-newsletters." If you plan to also send the visitor special offers from your members and partners, the earlier example is not providing express consent. Express consent also means clearly communicating who is the person or organization behind the proposal. Most tourism organizations list contact information throughout their sites, but it’s important that any CEMs include these details too. This includes an organization name, mailing address, phone number and email address. This is particularly true for email newsletters. Lastly, you need to provide a visitor the ability to forego their consent. If somebody doesn’t want to receive your communications any further, they have to be able to do so. Furthermore, CASL requires that you honor any unsubscriptions within 10 days of the request. What’s the Difference Between Express and Implied Consent? Express consent is in contrast to implied consent, which is where the agreement is not clear. As an example, I could verbally ask you if you want to receive emails from me. If you are silent, I could perceive your silence as agreement. However, you never expressed that you did actually want to receive emails from me. If I sent you an email, you could argue that you never agreed to that proposal. Under CASL, you would be right and I could be subject to penalization. There are other exceptions to the rule and can rely on implied consent. However, it’s always best to get express consent to be on the right side of the law. How Can Simpleview Assist with My Anti-Spam Efforts? It is an excellent idea to set up a meeting with your Simpleview account team, making sure to include the leads for your Simpleview CRM and email marketing efforts. With your Account Services representative, they can conduct an audit of your current communications. You can reach our offices at (520) 575-1151, email your Account Manager or send a ticket via the Simpleview Client Portal to move forward with this step. We also will be hosting a live webinar on the subject on Wednesday, Sept. 7, 2016, at Noon Eastern Time, which you can register for here: https://attendee.gotowebinar.com/register/7778682304656950018. Members of our team will be going through all the material and answering your questions. We encourage you to attend. Frankly, many of the requirements in CASL follow best practices for email marketing and form data collection. Taking these steps will likely improve your visitors’ engagement with your organization and the deliverability of communications. Ultimately, we want you to be in Canada’s good graces. Reviewing the anti-spam legislation and working toward compliance by July 1, 2017, will help to ensure your communications are following the country’s law. To review the law’s full text, you can visit http://laws-lois.justice.gc.ca/eng/annualstatutes/2010_23/FullText.html. This post was originally published on the Simpleview CMS Knowledgebase. You can read the original at http://cmskb.simpleviewinc.com/article.php?id=179. Sam Brace joined Simpleview in 2012 as a Communication Manager. 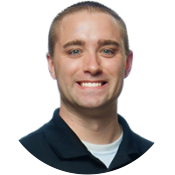 Today, Sam continuously provides clear and concise information about Simpleview products and services as the Director of Product Education, and is responsible for the overall training programs for all of Simpleview's products. For more information about strategy and development for your tourism marketing projects, e-mail us at info@simpleviewinc.com or call our offices at (520) 575-1151.